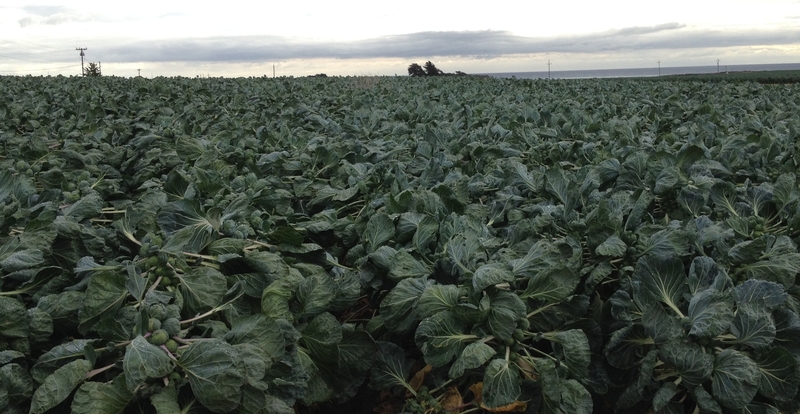 The future of Santa Cruz County agriculture is organic, conventional and hybrid. How far can we go with without irrigation, fertilizer and pesticides? Probably not very far, at least not immediately. “Eco-agriculture” or “low-input agriculture,” emerging organic/conventional hybrid models, integrate organic practices with highly reduced applications of conventional agri-chemicals. Aquifer seawater intrusion and fertilizer leaching cries out for improved system efficiencies in agriculture, and old/new ideas, like dry farming and wastewater treatment. The Watsonville Wastewater Treatment Facility now supplies recycled water, albeit limited, to the fields. Treated, recycled water is safe for agriculture use. Closing off our pollution loops and reuse is the way of future. Pesticides like soil-injected methyl bromide are routinely monitored for air concentrations, but there is exposure to workers that, in my opinion, is not fully disclosed to the general public. Compare the methyl bromide exposed agricultural workers of today with the lead exposed workers of Chicago’s Jane Addams’s day. I read there are insufficient field workers available to meet harvest demands, and millions are lost to labor shortages. The first time I saw stoop labor was in 1978 on a lettuce field between Monterey and Salinas off Highway 68. In the long run, it is fitting and proper to pay field workers better. They work so hard, it’s a disconnect that culturally we need to work on correcting. If that means paying more for food, let’s do it. Let’s choose mutual respect over debasing an entire working population for lower cost food. Let me close by saying I fully support Santa Cruz County agriculture, the abundance provided and the economic benefits derived, and will work fully engaged towards enhancing its future. Excellent Santa Cruz County agricultural economic stats are available from the Santa Cruz County Agricultural Commissioner. Click on “Download NEW Report” to the right.